Napa Valley with a cheapskate! It’s hard to condense the best way to spend your time in Napa Valley as it is an extraordinary place and I can easily thing of enough things to fill three itineraries! Napa Valley is iconic and it certainly behaves that way. 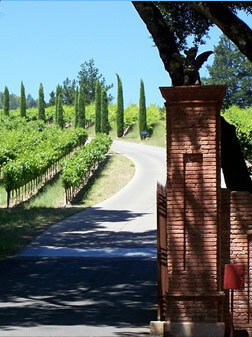 To add to what is some stunning scenery, Napa Valley boasts some of the worlds best food. The infallible combination of great soil and even better weather leaves that land rich in olives, nuts, fruit and of course, wine! Wine, wine, wine! Napa Valley in California with its verdant hills and acres of vineyards and optimum climate is by no surprise a premier wine-producing region. No less that 3 and a half million people come from far and wide, on foot, on wheels, by water and all with the same purpose; to bask in a veritable pool of wine and get really fat on delicious food. Therefore, it should come as even less of a surprise that this trip can quite quickly burn a hole in your wallet. Accommodation, food and winery exhibitions can set the figures rising pretty quickly. The expectation to spend a lot of money and the prices that are ever reflective of peoples willingness to spend is an out of control money paradox that always leaves you out of pocket! My usual budget of $50 a day I feared would fall a little short with this destination but I was intrigued to find that I could in fact make that work. There are ways to chop down your expenses that don’t leave you with a bare minimum Napa experience. Couch surfing is an easy answer to those, especially the solo traveller who don’t want to shed out the usual $200 a night at a Napa Valley hotel. If this doesn’t suit you then you can always check out Airbnb. Finding a mode of transportation thats safe, cheap and won’t leave you inevitably drink driving is difficult. Bike rental is a great one, there are also car-sharing services such as Uber, that is world wide and safe! The Napa Valley markets and sandwich shops are definitely your best bet if you don’t want to splurge over your budget just sitting down for an appetizer at one of their restaurants. That said, their food is world-class and damn fine so I’d reserve one day for a massive food blow out! Napa offers a taste card for $30 dollars that lets you try all the taste rooms round the city. Though they’re not the authentic wineries, thats a lot of wine for a low price. If you’re traveling in a pair then the best options are the 2 for 1 deals, of which there are plenty of if you stop by a tourist centre. I wandered round trying to redeem them by myself in hopes of getting a 50% cut or something but the results were so so.